Req. 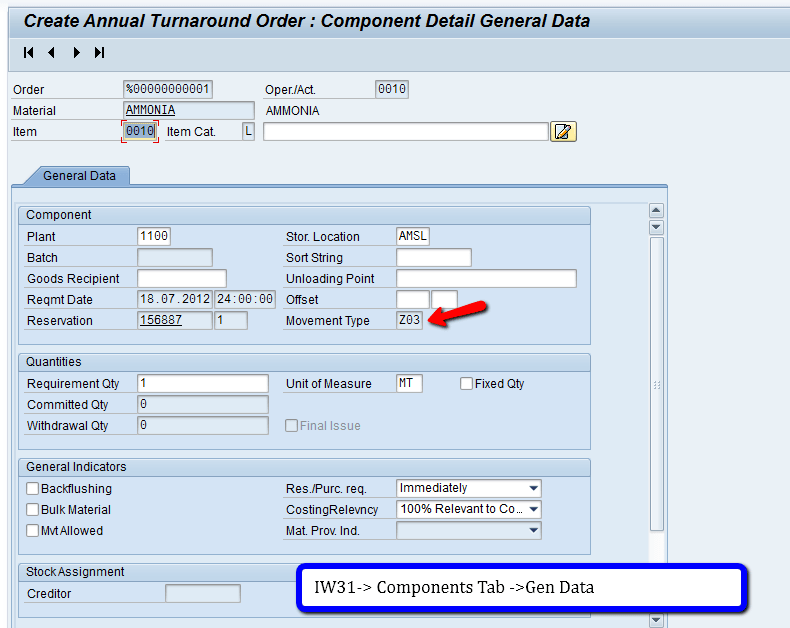 : Movement Type field is Defaulted, we need to modify the Movement Type based on Order type(caufvd-auart) & Item Category ( resbd-postp) and based on Order Quantity ( resbd-menge ). 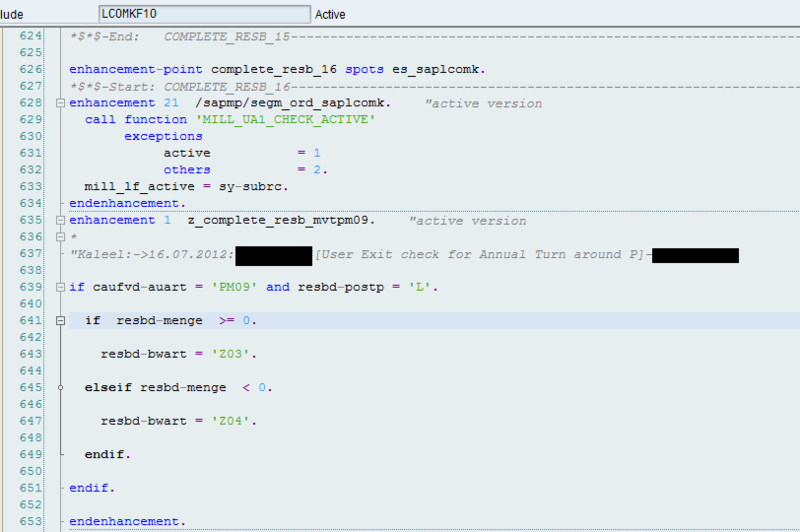 Goto SE38 ‘SAPLCOMD’ and search for ‘COMPLETE_RESB’ Subroutine . if caufvd–auart = ‘PM09’ and resbd–postp = ‘L’.